Bigger and more comfortable than ever. 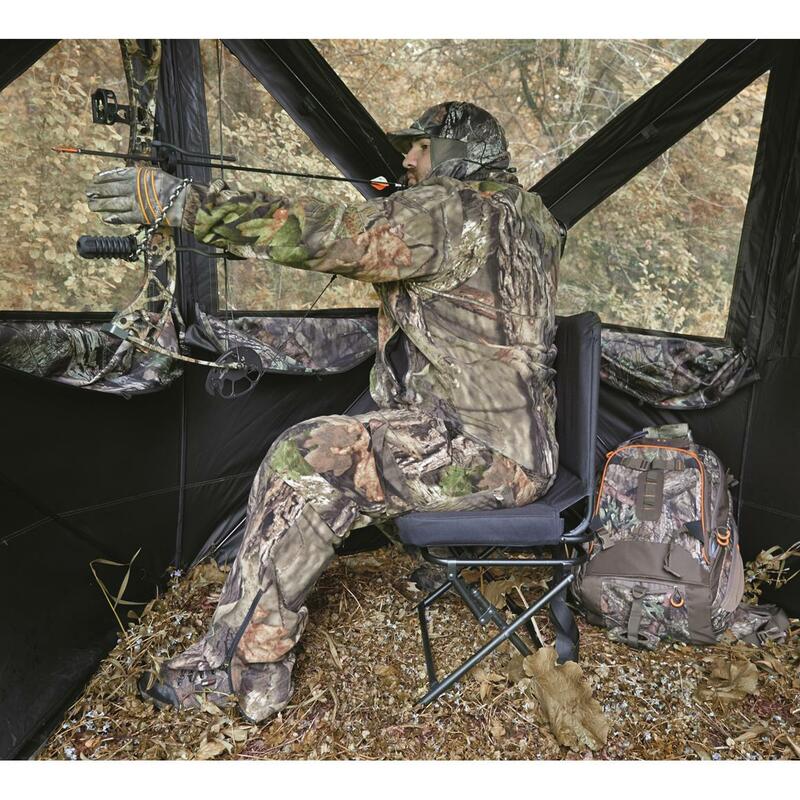 At Sportsman's Guide®, we're outdoorsmen, just like you. So we built our Big Boy Oversized Swivel Blind Chair with people like us in mind. Bigger. Stronger. More comfortable than ever. Yet still affordably priced. 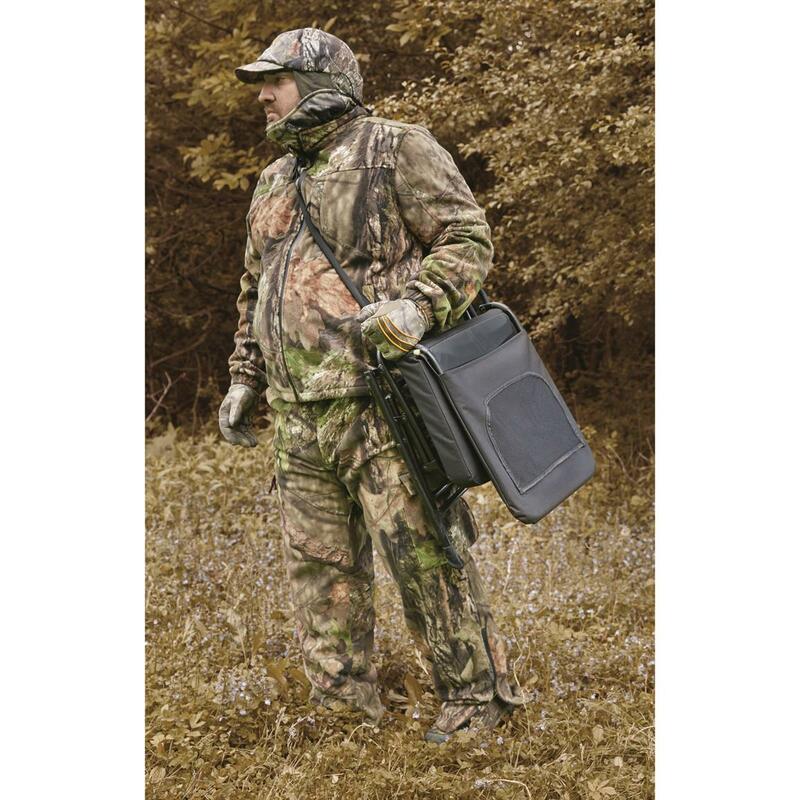 Some people throw good money at bad equipment, or spend way too much for something they don't need. 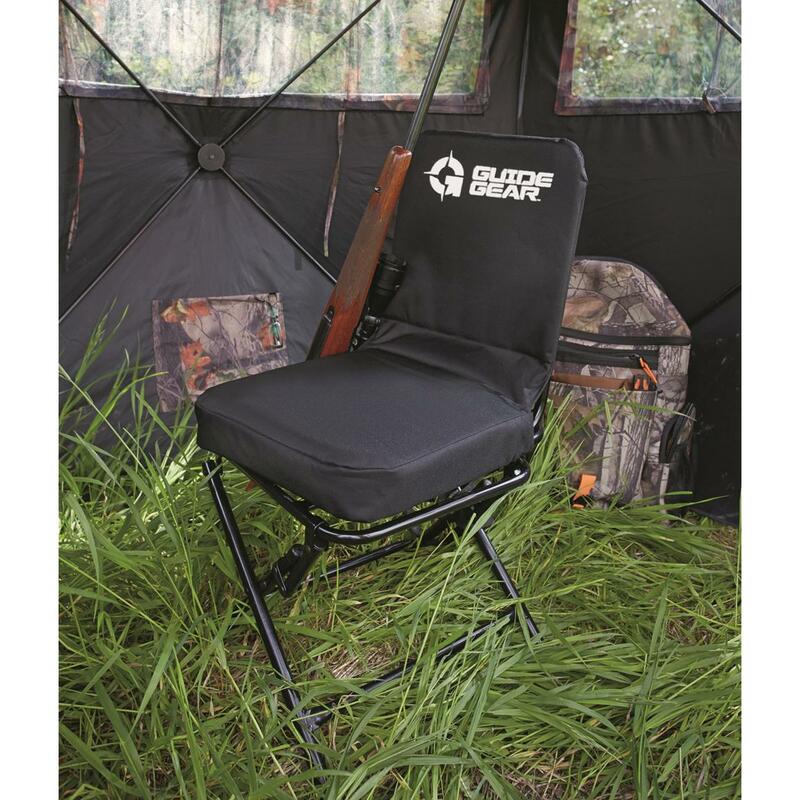 Here you avoid both of those problems with a top-quality, durable Blind Chair that won't blow your budget. At such a great price, how's the comfort? We didn't skimp on the cushion. 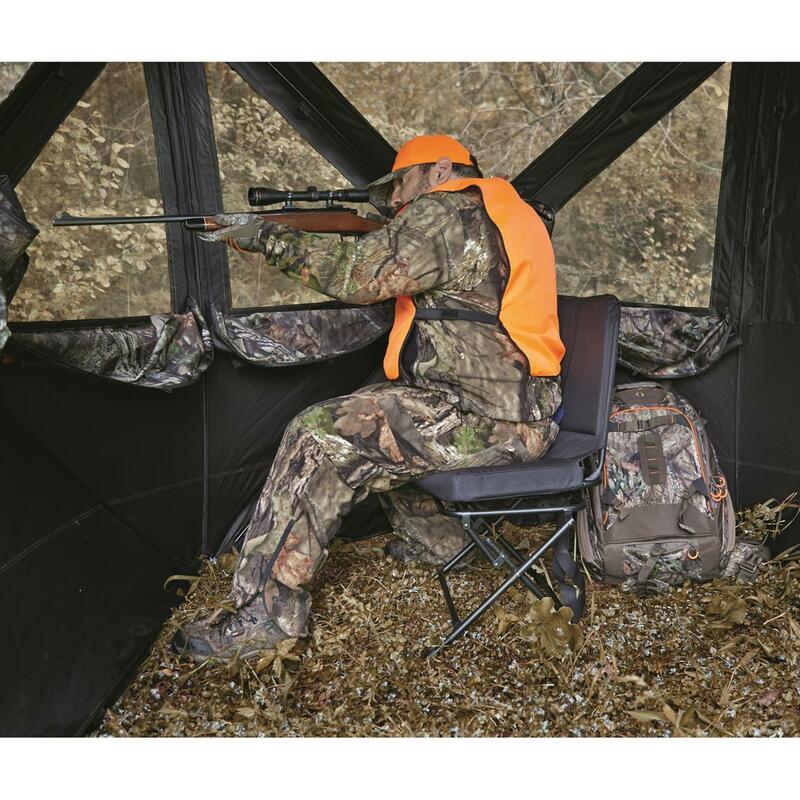 The seat boasts 3" of padding, and it's oversized to provide full comfort for any size hunter. 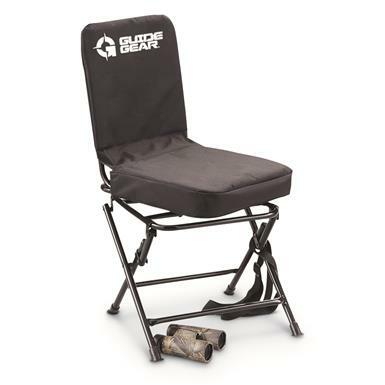 The back rest is padded too, so you can lean back wait for that next trophy like you're in your favorite chair at home. 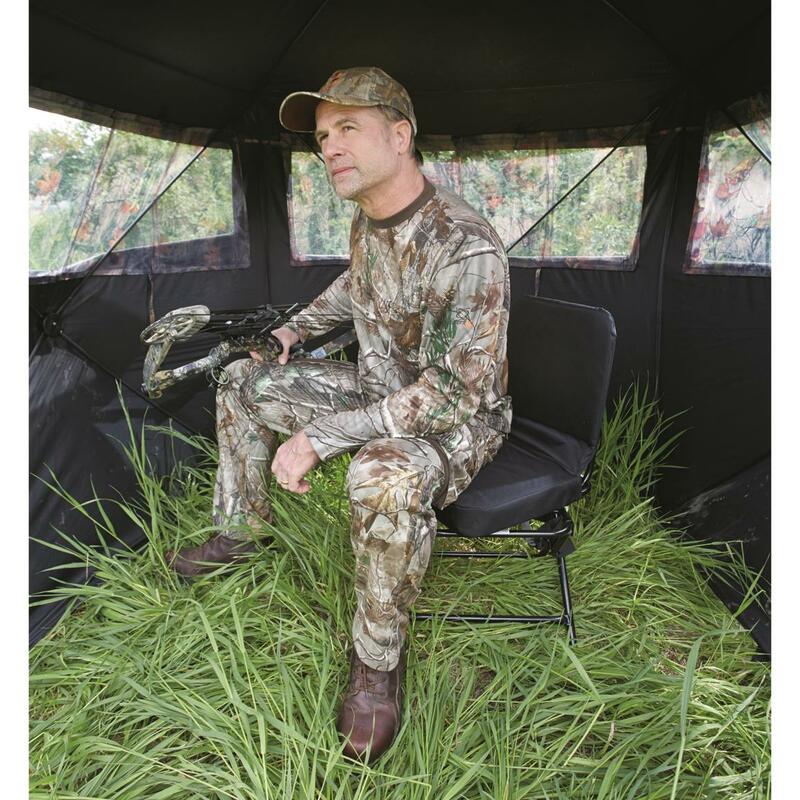 We know days in the blind can get long, and there's nothing worse than sitting on a hard, uncomfortable seat for hours. So we built something we'd be happy to hunker down on. It won't give away your location! You've got your shot lined up. You make one small move. 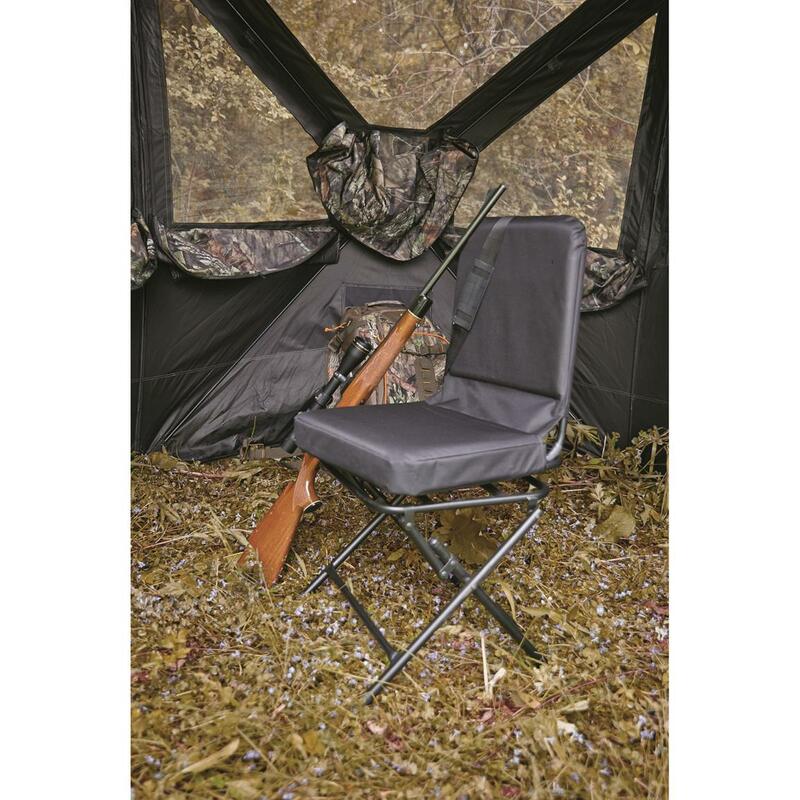 Your chair squeaks and your trophy goes bounding off into the trees. That's what can happen in other blind chairs…but our Guide Gear® Blind Chair features a 360° silent swivel so you're hidden from all 5 senses. 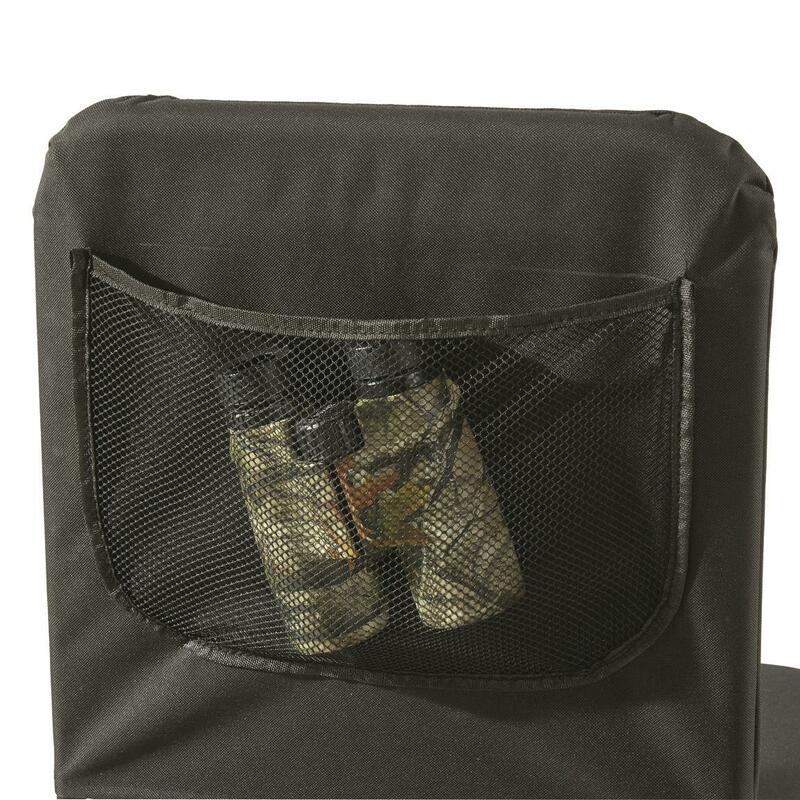 And it swivels a full 360° — perfect for checking each of your blind's windows in a flash! 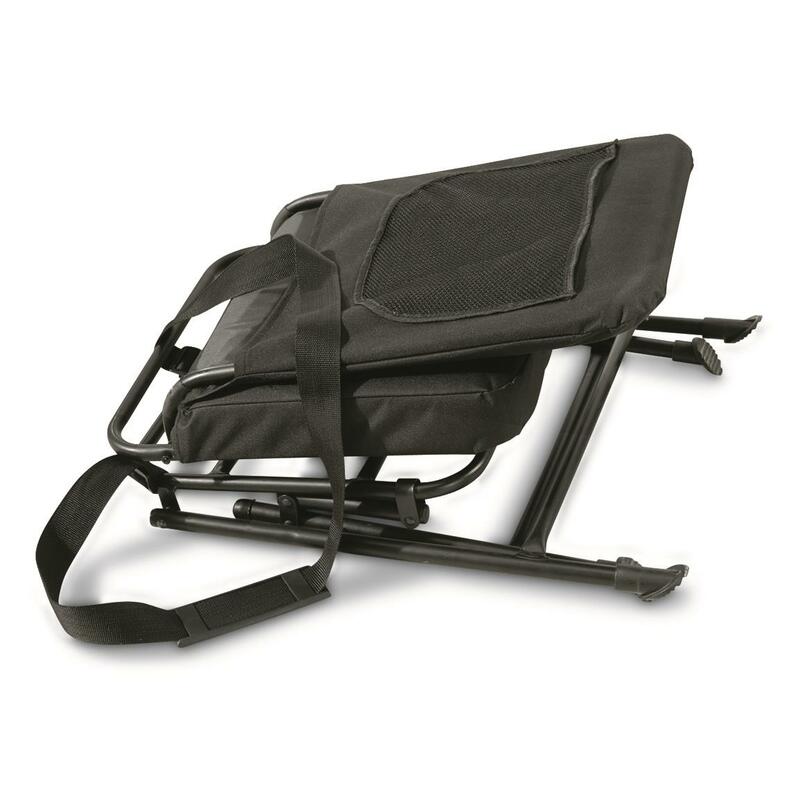 Seat Dimensions: 16"w. x 13.5"l.
Backrest Dimensions: 14.5"w. x 16"l.